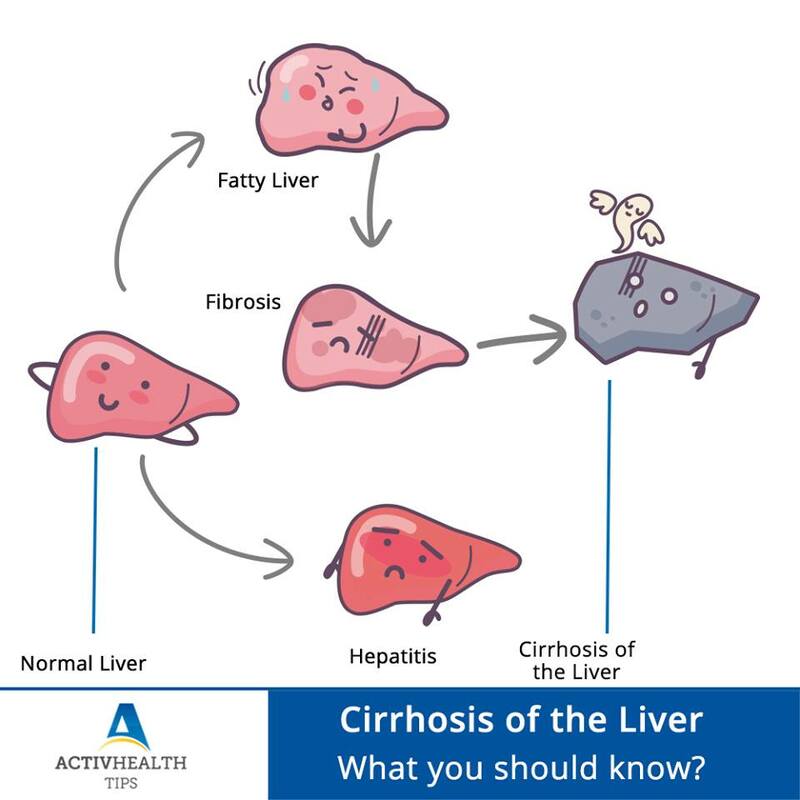 Liver cirrhosis is a disease which results in the death of healthy liver tissue where living cells degenerate and are replaced with scar tissue. Due to severe scarring, blood flow through the liver is blocked, compromising its ability to perform essential functions. Cirrhosis causes the liver to shrink and harden, making it difficult for blood rich nutrients to flow throughout the organ and decreases its efficiency. Treatment of cirrhosis is directed towards reducing the complications of cirrhosis and preventing further damage to the liver. Chronic viral infections of the liver like Hepatitis C, prolonged excessive consumption of alcohol and fatty liver disease are some conditions that lead to Liver Cirrhosis. Treatment for liver cirrhosis varies based on the cause and how far the disease has progressed. Weight Management and Regular Exercise is advised to manage cirrhosis of the liver and a general healthy lifestyle goes a long way in prevention and treatment.